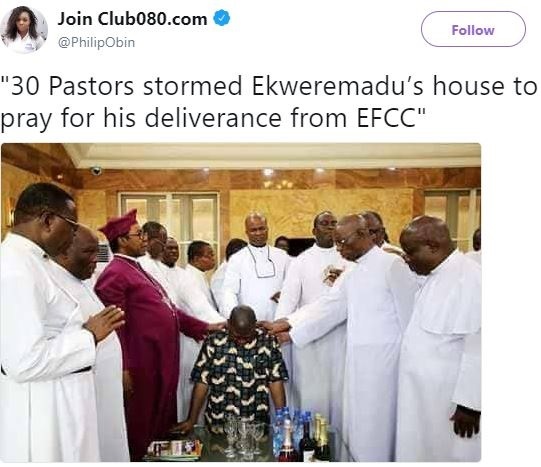 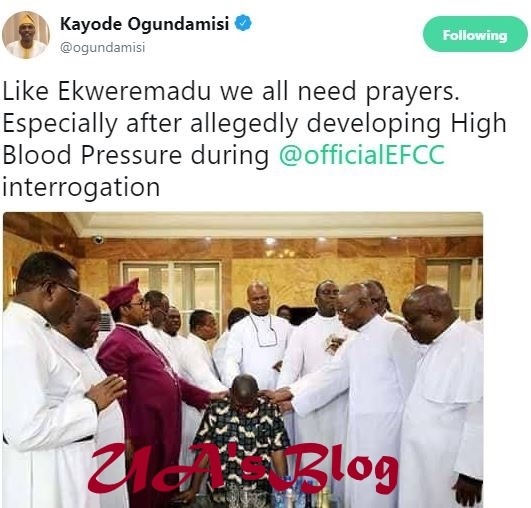 Nigerian pastors have been spotted in the home of Ike Ekweremadu to pray for him amidst his EFCC interrogation drama. 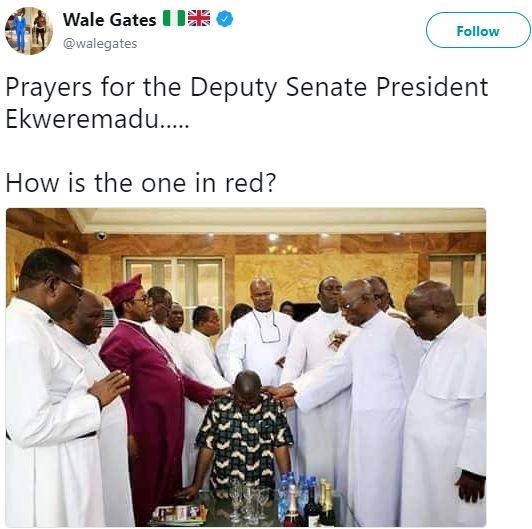 Ekweremadu was recently interrogated by the Economic and Financial Crimes Commission for alleged money laundering and properties acquired in Nigeria, United Kingdom and the United Arab Emirates. 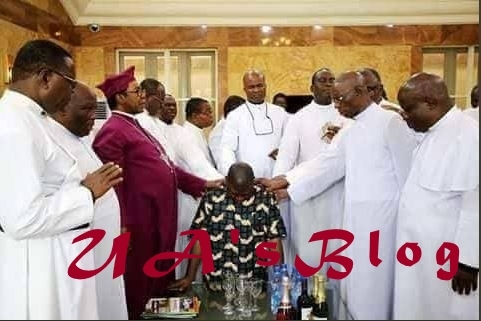 In one of the photographs, the unsmiling senator listened to some preachment by one of the clergymen.